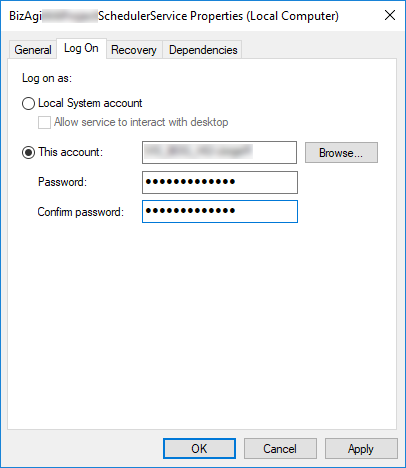 This article serves as a guide to create a Bizagi project using Windows Authentication for the SQL Server instance. 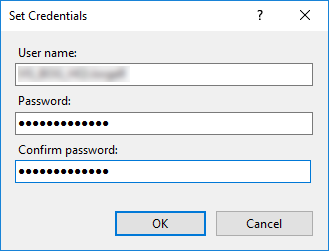 If you use SQL Server Authentication, refer to Create a new project. 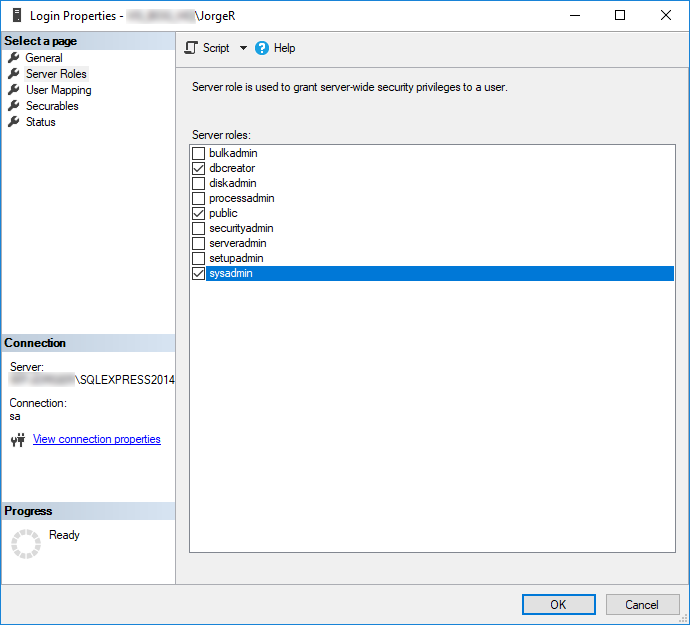 To create a Bizagi project in an SQL Sever database using Windows Authentication, you will need to first make sure that the Windows account appointed to create the project, is configured as a Login in your SQL Server instance. Make sure that it is granted with the adequate permissions: GRANT CONNECT, GRANT BACKUP DATABASE, and GRANT CREATE DATABASE. Furthermore, the user must have the server roles dbcreator, public and sysdamin. 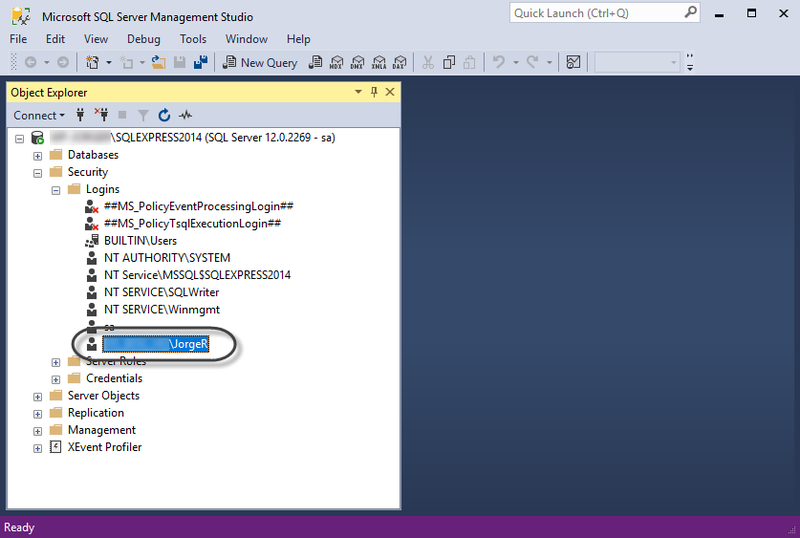 For more information about how to grant these permissions, please refer SQL Server official documentation. 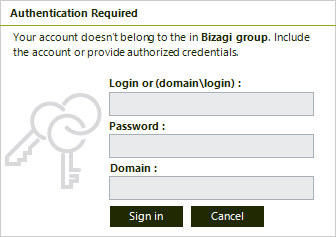 Before you proceed with Bizagi Studio, modify the account employed at the Bizagi Standard Server Operation Service's configuration. 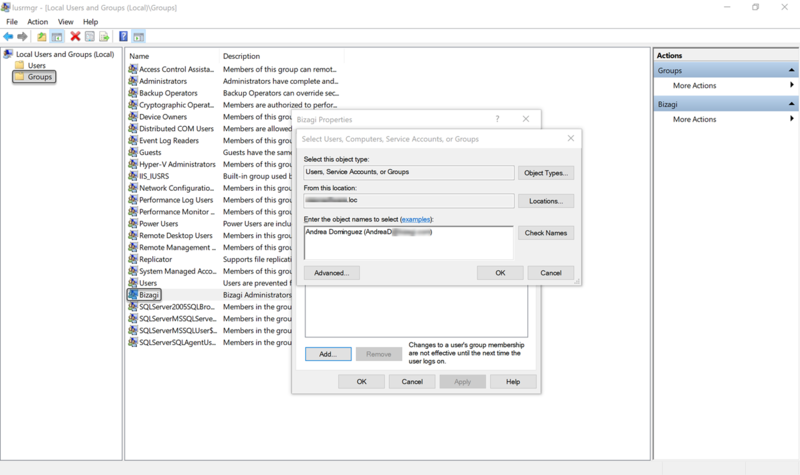 Follow the next steps to change the default account (appointed during installation). 2. 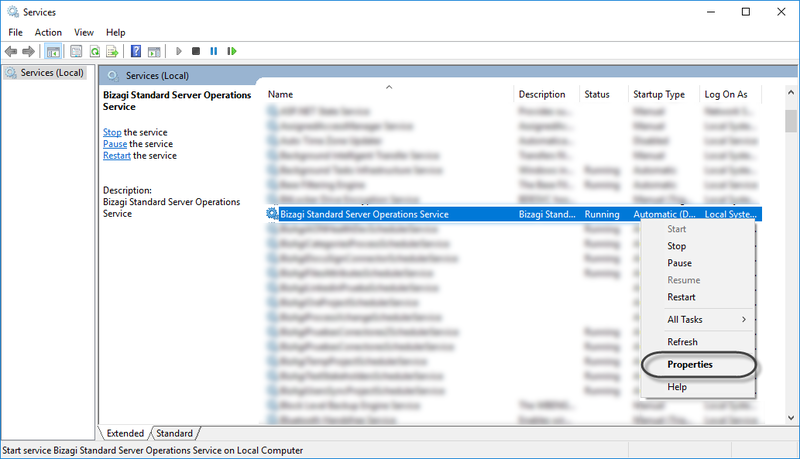 Locate Bizagi Standard Server Operation Service and right-click it. Then, select Properties. 3. Go to Log On tab. Select This account option and type the Windows account and password who is going to create the project. 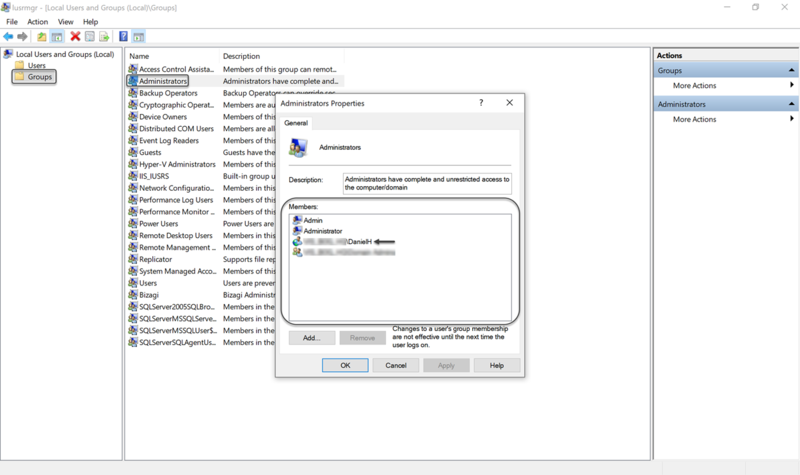 At this point you can create new projects in Bizagi that use Windows authentication to connect to the database. 2. Configuring the Scheduler service. 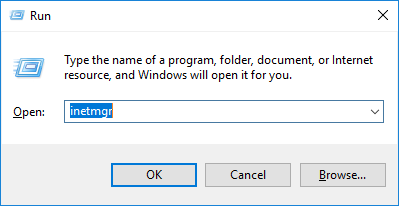 By default, Bizagi creates a Windows Service called BizAgi[Project_Name]SchedulerService using SYSTEM as the account to Log on. Given that this account does not have access to your database, change the default account. 3. 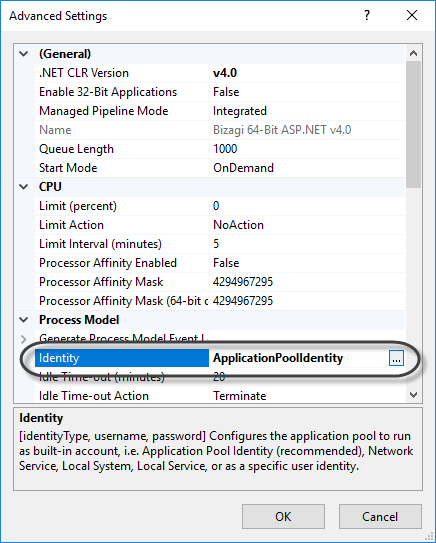 Configuring the IIS application pool. 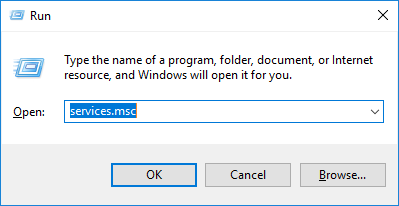 If you have the intention to use IIS Express, this step is not necessary. 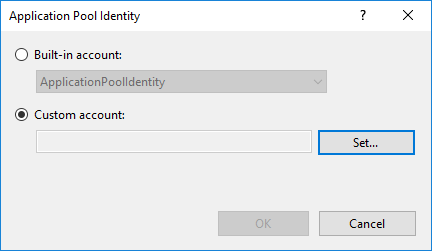 Otherwise, change the default account set for the application pool of your Project's Work portal. 1.1. Use the New project option in Bizagi. 1.2. Enter details of your project. Select the option Windows Authentication. Once the project has been created, Bizagi Studio prompts you about perform some manual procedures to make sure Bizagi behaves normally. The link displayed in the information message redirects to this article. Click OK and Bizagi Studio will automatically open the project and you can proceed with the next steps. 2.1. Open Windows Services console as mentioned before. 2.2. 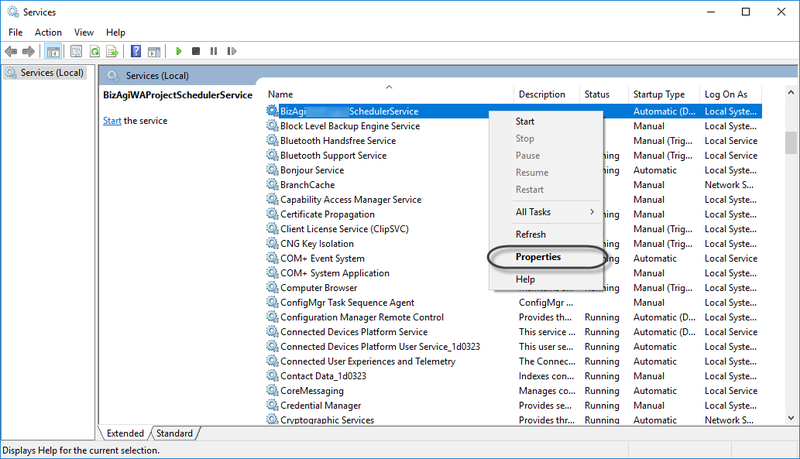 Locate the Service called BizAgi[Project_Name]SchedulerService and right-click it. Then, select Properties. 2.3. Go to Log On tab. Select This account option and type the Windows account and password used to create the project. 1. Reconfigure the Work portal by using the Internet Information Services Manager. 2. 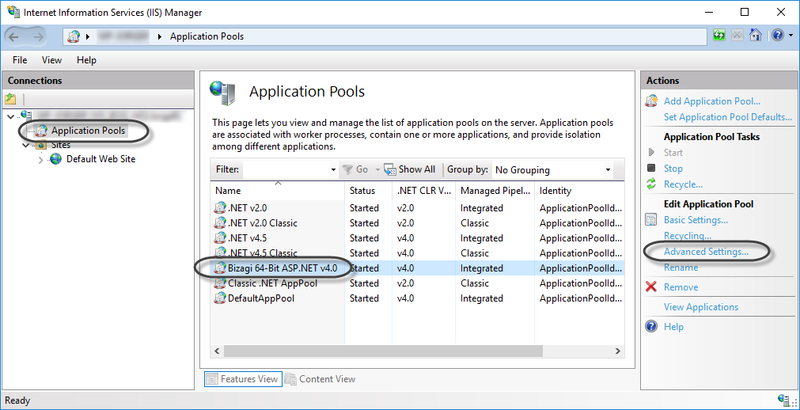 Select Application Pools and select Bizagi X-Bit ASP.NET v4.0. Then, click Advanced Settings. 3. Locate Identity and edit its value by clicking the three dot button. 4. Select Custom account and click Set. 5. Type the Windows account and password used to create the project. Finally, restart your Internet Information Services. At this point, you are ready to get started automating your processes. •If your account password changes anytime, you must update it following the last two steps. •You cannot create more than one project using different Windows accounts.